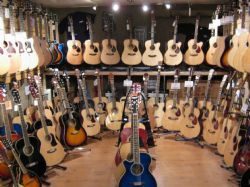 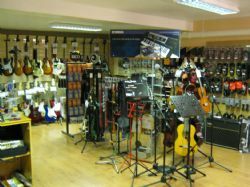 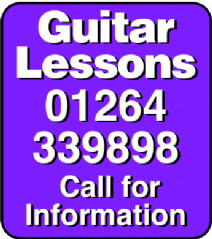 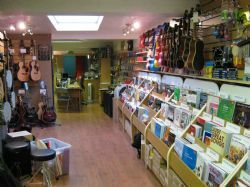 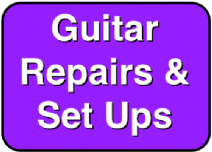 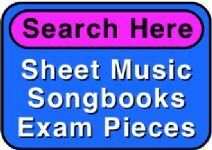 Welcome to Stringbrokers Music Ltd, we are an independent Musical Instrument and Sheet Music Shop serving Andover and its surrounding areas in North West Hampshire, we also run a busy online shop as well as providing Guitar Lessons and Music Courses. 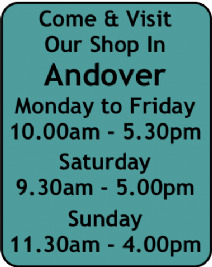 The shop is located on the first floor above the BlueOnion Coffee Shop on Andover's Upper High Street, to access the store you must come through the coffee shop and up the rear stairs, where you will find a well stocked shop with pleasant and helpful service. 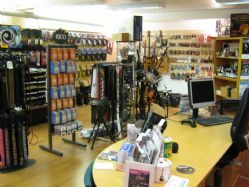 As the business has grown so too has the stock levels and the expertise of the staff and it only takes a brief visit to the shop or a click around the website to see the many different lines and range of instruments that are now covered.